NetStor NA341A-R is an external 2U-8 Bay Hot-Swap SAS/SATA Rackmount Enclosure. It provides users a flexible solution for up to 8 SAS or SATA HDD and high performance external data storage solution for HD of 1080i Video Editing or any high resolution video platform. 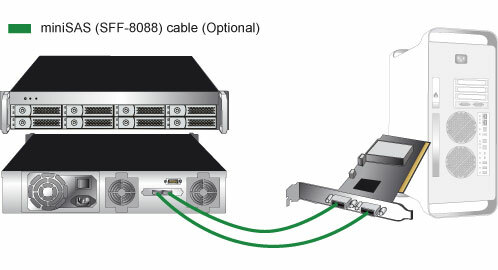 This 2U 8 Bay external SAS/SATA JBOD is designed with two convenience of External miniSAS(SFF8088) interface brings users an easy installation and enjoy fast data transmission experience.